So I’ll admit it; I assumed Dragon Quest Builders was your basic Minecraft clone hoping to bank off the success of the genre. I was hesitant to review it since I don’t even like those types of games. But I’m happy to say that I was terribly wrong in thinking this. Dragon Quest Builders throws players into the land of Alefgard that has magically lost the ability to build and create. You assume the role of an amnesia stricken character given the task to bring the kingdom back to it’s former glory by a mysterious and unseen spirit. Little did I know, I was about to set out on the adventure I’ve been waiting for for quiet some time. After a small introduction to the mechanics, you are thrown into the game and left to explore on your own. However, “on your own” is used very loosely. The game spends the first few hours doing a lot of hand holding as the spirit helps you through the first few missions while explaining things in detail. Players will need to acquire building pieces by mining trees, rocks, plants, etc. much like you would in Minecraft. Once the item is collected they will be added to your inventory, ready to be crafted at a workstation. In the beginning of the campaign, the list of craftable things is rather short with just a few necessities such as a straw bed, straw door, and mallet. This list grows larger as you continue the story and take on quests. Missions are given out by the townspeople that slowly begin to populate your town. Sometimes you can stumble into these folk out in the world. These missions usually ask you to build things or find certain items. If it’s a quest on the open world it’s marked with a ‘Q’ on your compass. I never felt lost when going about these tasks; if anything I wanted to get lost more often because every time I did I found caverns with secret loot. Because you can build things anywhere, the game has a procedurally generated feel to it. However the overworld is always the same. This was disappointing at first, but as you play through the story you will see why the game’s campaign needed to have a set world in order for the quests to make sense. The explorable lands are separated into islands that can’t be accessed by foot. In order to get to these places, players will need to take on story quests that unlock portals to each area. Seeing brand new surroundings was always a treat and kept the game from getting stale. Additionally, this gave the game a real feeling of adventure and mystery as I traveled through uncharted territory looking for new items and enemies to fight. 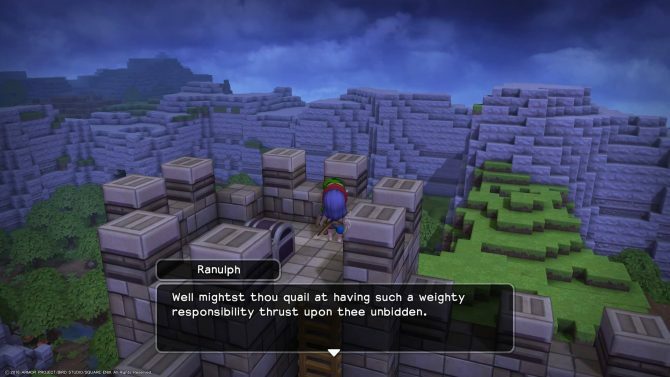 Building your town in Dragon Quest Builders is a full fledged game in and of itself. You’re not required to create anything complicated which is good for those who just want to play it for the story. However, hours of gameplay can be spent just tinkering with your town since you have dozens of possible room layouts and items at your disposal. As mentioned before, it does take some time to unlock better craftable items because you have to complete missions or collect certain items. 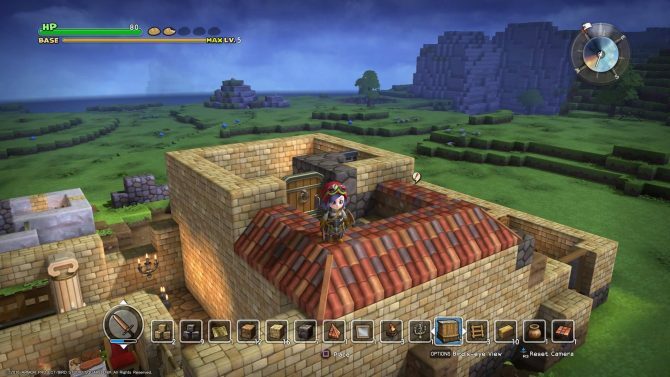 Something new that Dragon Quest Builders brings to the table is an item that turns standard earth blocks into a different block such as brick or stone. This made building so much easier by speeding up the process of designing rooms and getting rid of those annoying dirt blocks that I seemed to have an endless amount of. There are also special attacks learned throughout the campaign that makes mining even easier. Using my tornado spin to clear out a whole bunch of blocks saved a ton of time. 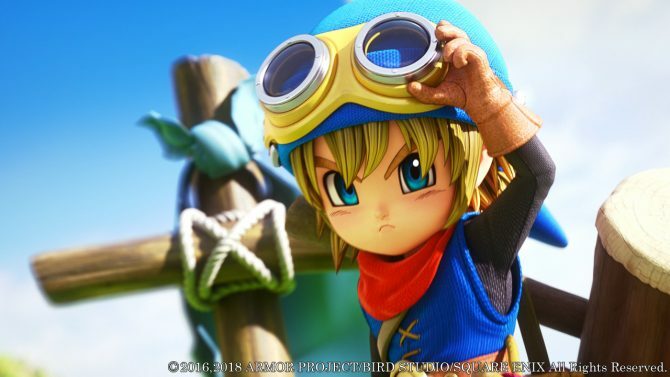 Dragon Quest Builders makes its stance on the crafting genre by giving you a reason to create. I’ve always felt that Minecraft is a game where the only fun you get is the fun you make, and that only goes so far. Dragon Quest Builders not only offers that type of gameplay, but it also gives you the context for existing in the world you are discovering. The story never felt shoehorned or forced and thankfully you’re never left wondering, “Okay, what next?” As I normally would after playing an hour of Minecraft. The control system takes some getting used to. This being, the game maps the X button to perform an action, but also bring up your menu. It gets pretty redundant if you try to bring up your menu after crafting a sword since you need to walk away from the workbench in order to bring up the equip menu. And of course the game doesn’t allow the buttons to be remapped. It took me awhile to get used to pressing triangle to attack when I would have preferred using another input. 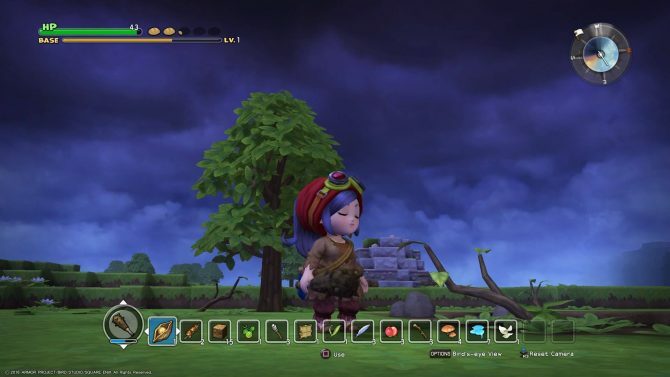 It needs to be stated that Dragon Quest Builders is a beautiful game. It was always a pleasure when exploring at night and spotting a light in the distance guiding me to a secret cave. Additionally, the sky was always changing throughout the day and made the setting that much more enjoyable. I spent hours venturing out into the unknown to discover new characters, side-quests, and secret bosses. Ultimately, adding to my seemingly endless playtime and I welcomed all of it with open arms. Similarly, the soundtrack for the game did wonders for the experience and gave it that classic Dragon Quest feel. Composer Koichi Sugiyama really outdid himself composing a score that worked well with every situation I found myself in. It truly provided that proverbial icing on the cake when exploring and seeking out adventure. An issue that came up is that the game doesn’t have an autosave feature. Normally, I’m against the feature when it comes to RPGs as I feel like it’s the player’s responsibility to save their own game. However, after a long 6-hour session, my game crashed when exiting to the PlayStation menu from the game. After the incident I attempted to recreate the crash, but was unsuccessful. Being as this was an early copy of the game, I can’t say if this bug will affect the release copy of the game, but you can bet I saved quite often after this happened. Dragon Quest Builders takes Minecraft‘s foundation and adds dozens of levels upon it. The implementation of story and crafting all in the Dragon Quest universe worked wonderfully (to my surprise). The developers made sure to make building complex structures easy and-with the use of acquired specials-gathering items just as easy. 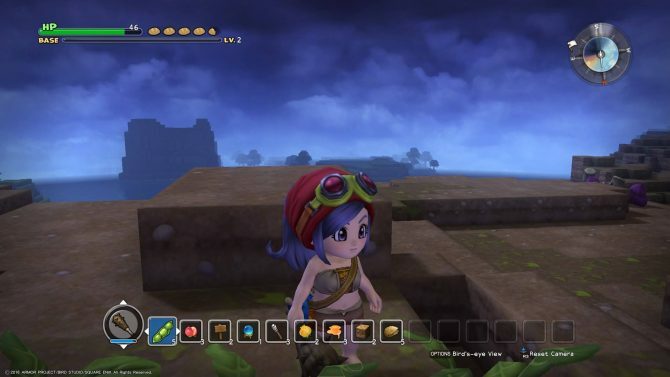 It’s just way too effortless spending hours playing Dragon Quest Builders and it’s exciting to check out the amazing things that other players end up doing , creating and discovering throughout their campaign. With that in mind, there was a moment during my game that I decided to build up my base’s defenses and after I was finished three hours had gone by. By no means did I need to do this, but that’s just how I wanted to play my campaign and I was having a great time. All this adventure and discovery made me think of times in my past that I sunk hours and hours into game’s like Dragon Warriors II and Torneko: The Last Hope. 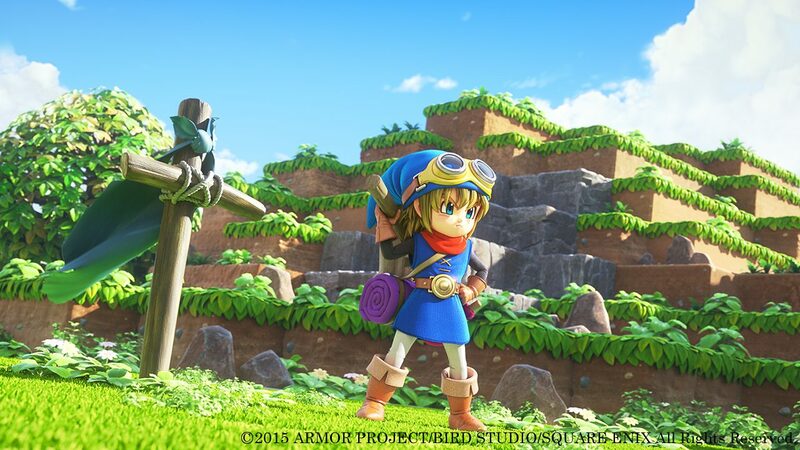 That being said, I feel as though Dragon Quest Builders is not only worthy of being apart of the long standing RPG franchise, but it also succeeds in making its mark and surpassing all competition compared to any game like it. 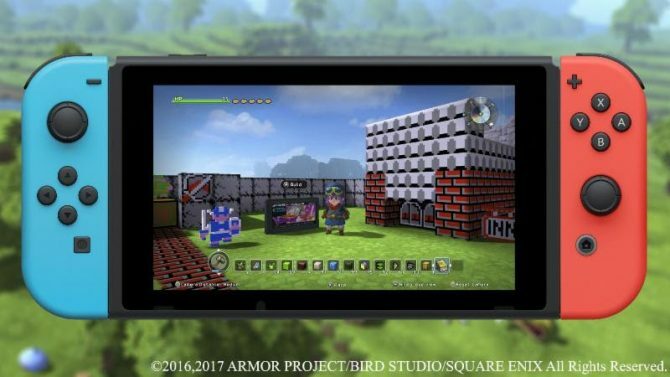 Dragon Quest Builders on Nintendo Switch brings over the Minecraft-like sandbox game with a solid port and the game's usual charm.